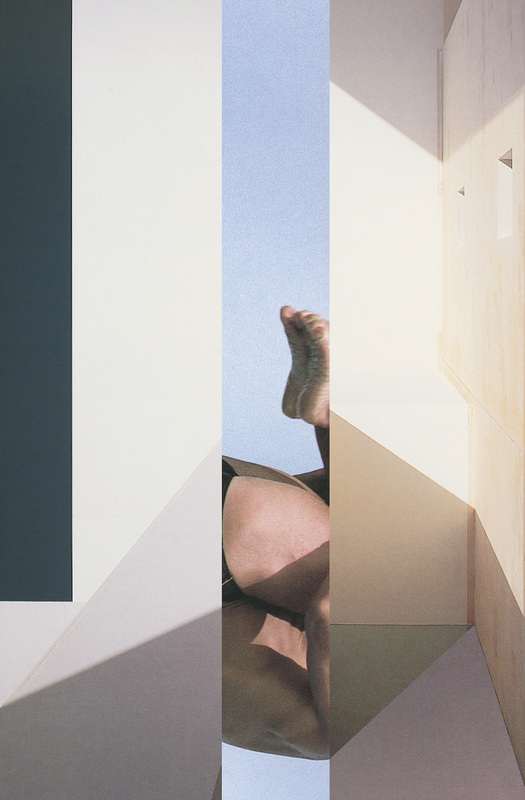 Melbourne-based artist Zoë Croggon works with sculpture, video, and primarily, collage. Her practice considers the relationship between the kinetic body and its surroundings, contemplating the role we play in our environment and how deeply our surroundings inform the cadence of our lives. The body has long been the focus of Croggon’s work, presenting the trained figure and modern architecture as fascinating counterparts; each unyielding, severe, and rigorously functional in form. Created primarily from found photographs, her work examines the possibilities and limits of pictorial abstraction. Croggon's latest series, Meridian, centres on the compression and suspension of the body, in a consummation of physicality and space. These pairings construct taut forms that consider the parallels, divisions, and coordinates of materiality.